Come to a point that you have already talked to a lead and they are willing to setan appointment, it can be done under the Seller Lead item itself in the Seller LeadsApplication. The only thing that needs to be done is for you to choose who is going to theappointment (from your team) and selecting the time and date of such. 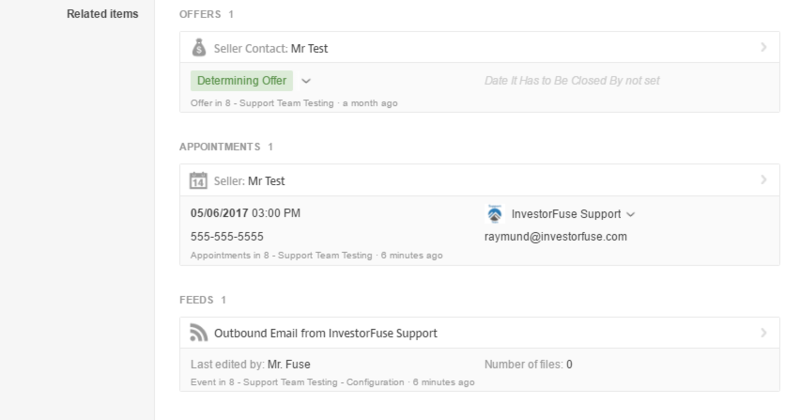 Once that has been set, you'll notice that the two fields will empty themselves and you should receive a notice on the activities section about the appointment that was set.The said fields are not for viewing purposes, they are more likely initiating tools thatyou can take action on if the setting of the appointment with the Lead is at hand. 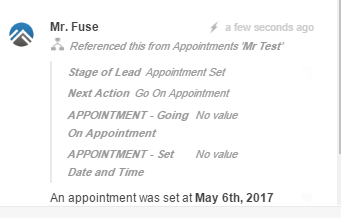 Once the Appointment has been set, it should show up under the appointments appshowing the information of the lead where it is referenced to. 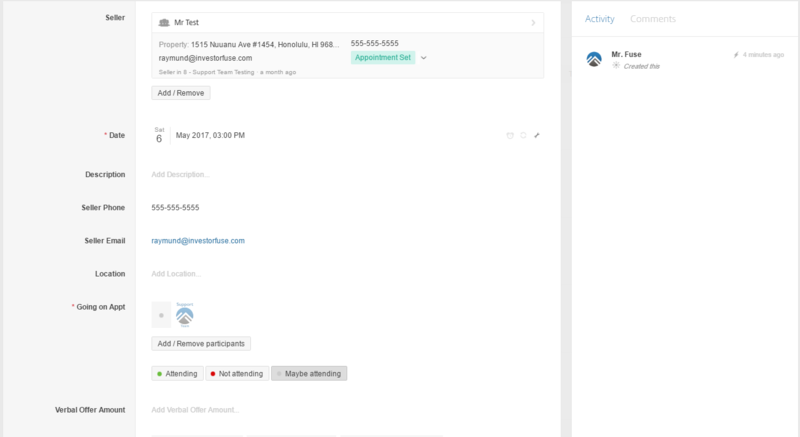 An email will then be sent to the participants of the appointment notifying them aboutthe information given above.Also, if you are having a hard time switching from one App to another, you can always view the appointment that was set for the Lead under the Related items section, located at the bottom most part of the lead item. Always feel free to contact support@investorfuse.com for further questions! Cheers!